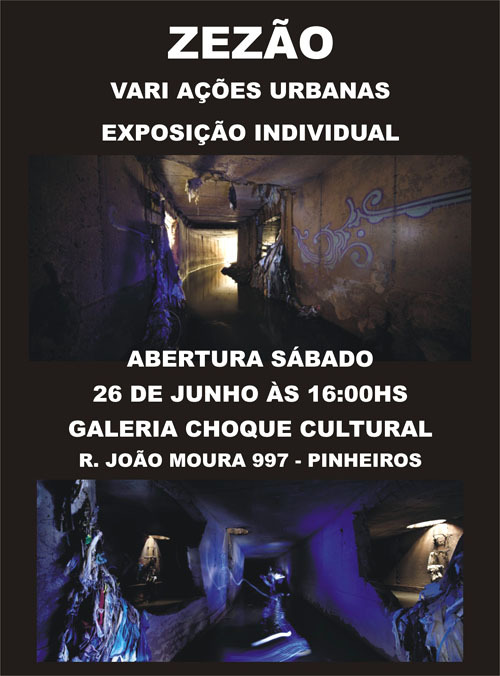 This month Choque Cultural gallery in Sao Paulo present a solo show by Zezao, an artist who continues to impress me through his artwork and actions. 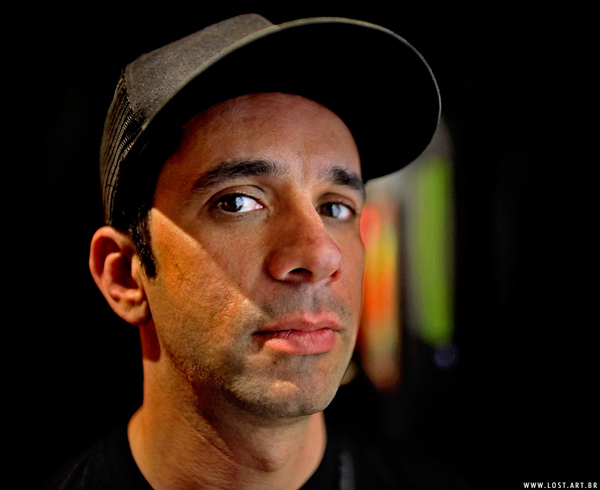 I first got to know Zezao researching the Graffiti Brasil book in around 2004. 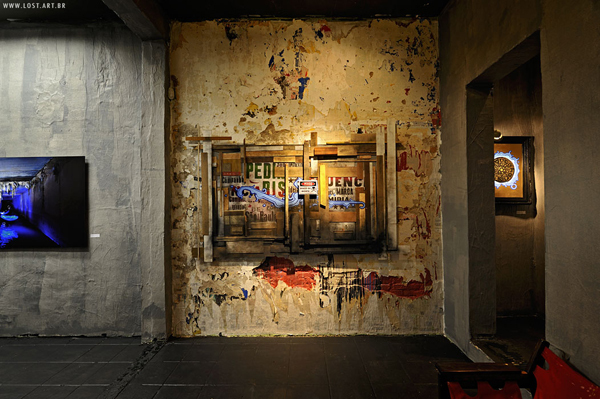 Having been involved in graffiti painting, train bombing and pichacao tagging for many years – Zezao is a graffiti veteran. By the time I was introduced to him he had evolved his own style of painting his “flops” (throw-ups). These flops are characteristically painted in shades of blue in a free-form style. 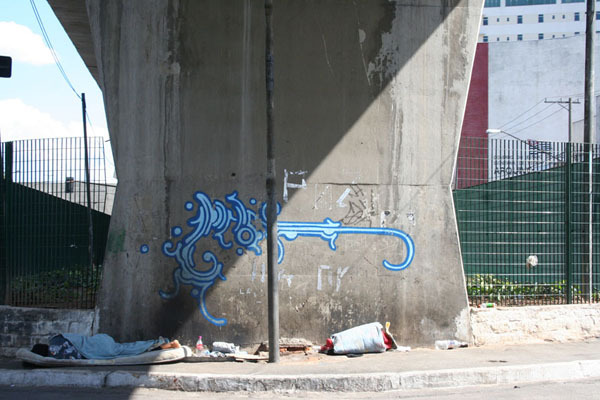 He has become most famous for painting these flops in the sewers of Sao Paulo, but he also paints them on the streets, particularly where the homeless build makeshift shelters and sleep by the road side. As he paints the “homes” of the rough sleepers, who sometimes include families – he talks with them, gets to know them and helps them out when he can. By painting where they live, his paintings become a sign of life or a notice of the people living there. It is a simple way of acknowledging people who are often ignored by the thousands of people who drive past them everyday. So how does Zezao’s art work in a gallery context? Zezao doesn’t claim to be the new Picasso, he is very modest about his own artistic talents. However he is always pushing his art and exploring in directions such as performance, installation and photography to name a few. His abstract forms have an integrity and skill from many years of painting, but he doesn’t rely on simply reproducing what he creates on the street. 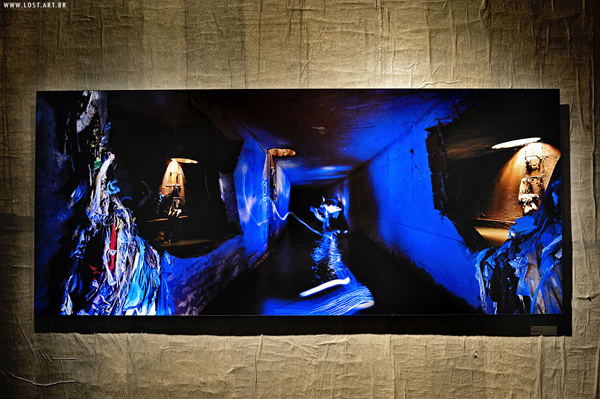 He draws from his experiences of the city both above ground and subterranean in his creations. By all accounts this current show is Zezao’s most critically successful to date. 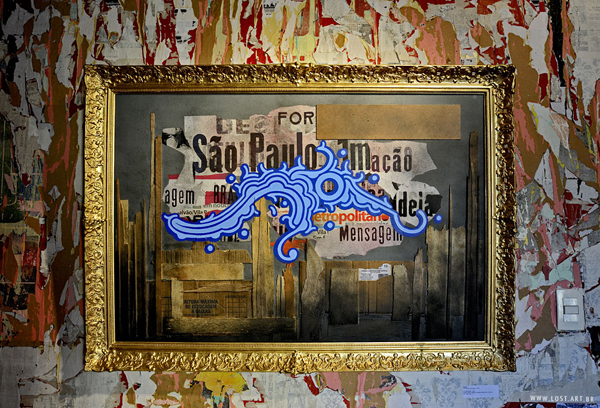 In his various works using ripped posters and materials sourced on the street, along side his signature gold and blue palette, as well as beautiful photographs of his underground installations. All images courtesy of Lost Art.